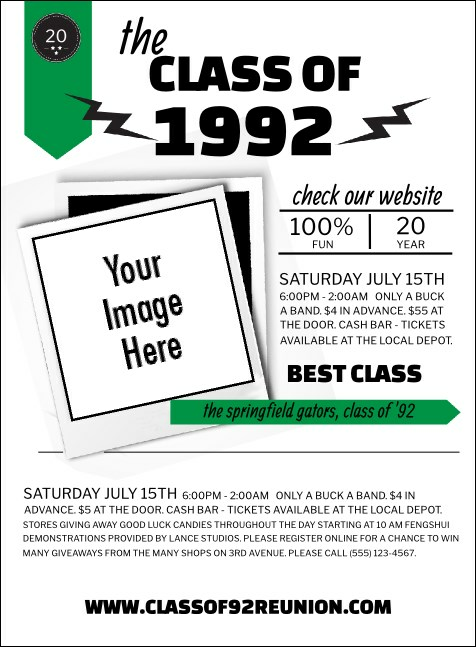 Grow your alumni guest list substantially when you print Class Reunion Mascot Green Invitations and send them out before your reunion. These Invitations feature space for one unique image upload on a green and white background with twenty-three lines of text for all your event details. TicketPrinting.com has a green thumb in advertising.